Pro: Reliable, POS integration usually available, Advantages to using with web page. Cons: Almost always fee based, Hard to leave once you sign up, Who owns the data? Pros: POS integration usually available, Advantages to using with web page, Not tied directly to the credit card company. Cons: Hard to leave them, Contract based, Fees can be excessive, Who owns the data? Pros: Downloadable, Phone based, Good statistics and marketing features. Pros: Marketing features and they can be simple to use. Cons: Expensive, More equipment on counter, Loyalty usually based on visits, Not really a gift/prepaid card option. Pros: Easy to understand, Can be cost effective. Cons: It’s not 1995! Easy to steal and fraud is issue, Customers lose them. 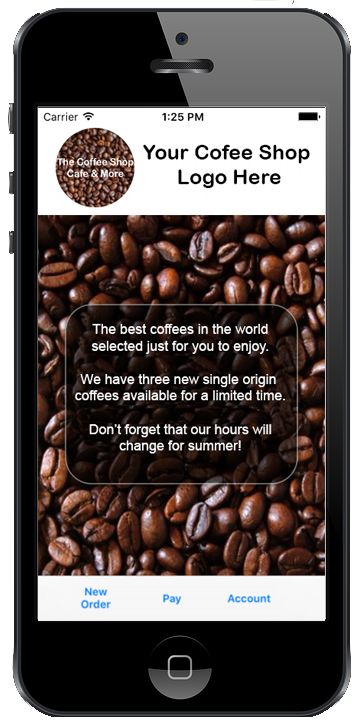 Gift and prepaid cards can be one of the best ways to promote your coffee shop. Here are 3 GREAT gift and prepaid card ideas we have gathered from customers of our cafe, coffee & pizza point of sale solution. 1) Buy a card, get something free. The key to this is to really push this with customers that pay with a credit card or cash. Those are the customers of your coffee shop that don’t have a card already. If I don’t pay with a prepaid card, then you are missing out! This could be $30 and your drink is free or $50 and you get bread sticks free. 2) Offer a VIP discount for paying with the card. It’s simple really. If they use the card, they get sort of VIP bonus. Offer a free extra shot of espresso, a free flavor shot or topping on a pizza. This pushes the customer to always have money on their card in order to get the reward. 3) Offer a cash back reward system. Instead of working with buy 10 get 1 free, use our percentage cash back system. This method of loyalty/rewards, allows you to push a percentage (think 5-10%) back to the customers gift card. The customer then always has a balance on their gift card! It is a great way to “train” customers to use their cards on a regular basis. Want more ideas? 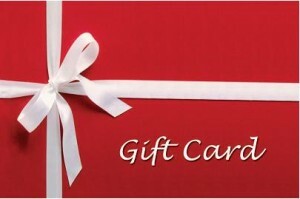 Check out more of our blogs on gift cards. Buy X get 1 Free: This is a simple method. For example: Buy 10 coffees get 1 free. Points: In this system you earn points per dollars and then can redeem them at one to five different levels. For example: Every $1.00 spent earns 1 point. You can then redeem 35 points for a free 16oz or 50 points for a small sandwich. The new method of rewards involves earning a percent of your ticket as a reward. For example: You offer 10% back on all coffee purchases. SP-1 will then automatically keep track of that and give them the ability to apply that as a discount on the ticket! In the example below, the customer already has $4.12 in rewards that can be applied to this ticket. Of course, like all reward methods, you can specify if they earn points, punches or dollars when a discount is used, limit this by menu categories and sized etc. The second change that has been made to SP-1 is that you can now specify which group sizes you want to include instead of only excluding. For example, in our current versions you can specify that a customer earns points on coffee drinks but exclude 8oz. With this new method, you can have a different amount of punches or points you want the customer to earn based on the size of the drink. So, you could have 12oz drinks earn a different amount of points than 16oz drinks. As you might know, SP-1 has the ability, built in, to handle a rewards program. Recently we have been getting more questions about the ways this can be used. Typically the rewards program is used in conjunction with a plastic card that can be used as a gift or prepaid card as well. There are two different paths to setting up the rewards system in SP-1. The first concept is a buy X get Y free. This is typically setup on a specific menu group (coffee, pizza etc) and works by adding one point (or punch) to the customers account per item purchased. So, in a buy 10 get 1 free scenario, the customer would buy 10 drinks and then get 1 free. Essentially, this should work out to a 10% discount to the customer. The upside to a Buy 10 get 1 Free? It’s easy for your customers and employees to understand. Everyone “gets” it when they see the promotion. The downside? It only works well with one menu category so you are limiting exposure. Also, it’s tough to base it on the particular item the customer orders and that can result in people taking advantage of the system. The second concept is using a point per dollar system. This is setup so that every dollar spent earns a set amount of points. For simplicity sake, $1.00 equals 1 point. Once the customer has earned enough points, they can trade that in on a discounted item, a free item or even for money added to their gift card. The upside to this? It’s very flexible and it opens the entire menu up for earning points. You can also select up to five redemption rewards for the customer to earn. The downside? It can easily become too complicated for the average customer to quickly understand. Buy 10 get 1 free. Spend $1 get 1 point. 35 points for a free drink (up to $3.50). 50 points gets 50% off your next order (up to $5.00). 50 points gets you $5.00 on your gift card. If you are a roaster or sell coffee / tea in bulk, then another way to treat the program is to offer to supply a certain amount of coffee or tea for home use after 10 drinks or a certain amount of points. It’s a great way to help convert customers into drinking your product at home. These are just a few ways people use the rewards program in SP-1. Let us know what your ideas are! Have you ever thought of doing this? Co-Branding is when you support another companies brand with your own in order to connect the two in your customers mind. It can be a great way of enticing your customer to visit you because of that connection. In the specialty beverage world a natural fit is the coffee shop and the roaster relationship. Where do gift cards and POS come into co-branding? Interestingly enough, in a couple ways. Think about all that real estate on the back of your nice looking gift card. Now, slap a “Proudly Serving YourRoasterNameHere” on the back with your roasters logo. This is an immediate co-branding opportunity. Want to save some money? Ask your roaster to pay a portion of the tab on the gift cards or to discount the next order of roasted coffee to help offset the cost. For those of you with restaurants and cafes, you can do this same thing by asking your cheese vendor or beverage provider (think Coke/Pepsi) to do this. Want another way? SP-1 has the ability print a coupon on the bottom of a receipt. You can use this to proudly promote a partner, vendor or even another business in town. Do you take tips? Over the last couple years we have been asked by people that take tips to allow those tips to be placed on a gift card as well as a credit card. Well, that ability became possible earlier this year! We added the ability to have a gift card function almost identical to a credit card. So, to walk through this. . . Customer orders something and you go to the Ticket Completion Screen. Select Gift Card and swipe the card. SP-1 will now print a slip with a tip line and signature line right away. When the customer hands that back, hit the tip button and add the tip! Remember – Gift cards are no fee and no swipe charge when used through either SP-1, the Multi-store gift and loyalty corporate package or through our Mercury Payment (credit card referral partner).